Foraging 14 Day Detox Tea Review | Buy or a Scam? Foraging 14 Day Detox Tea is based on powerful ancient Chinese herbs. The idea of taking this two-part tea package is to lose weight, get healthier, and cleanse your body. We can already feel the bathroom calling us, but is this cleansing tea program worth a try anyway? Let’s find out more. Foraging Organics is an Australian company, based in somewhere called Fortitude Valley in Queensland. However, the teas are imported from China. Foraging 14 Day Teatox consists of two herbal tea blends that you drink morning and night time over 14 days, and the package comprises of 28 tea bags in total. Both teas were manufactured in China and imported by Australian company Foraging Organics, who are now marketing this teatox in the USA via Amazon and eBay. There is very little information about the true ingredients contained in the tea blends, so side effects and safety could be an issue. Chinese supplements and herbal products are notoriously dangerous, and although Traditional Chinese Medicine in the hands of a qualified practitioner may be effective, buying an OTC blend like this does come with some real health risks. What Are The Side Effects Of Foraging 14 Day Detox Tea? Foraging 14 Day Detox Tea may cause side effects and without adequate ingredients information, this is hard to predict. This detox tea contains laxatives so you can expect to be spending more time in the bathroom. Side effects to laxatives include diarrhoea, abdominal cramps, stomach pains, nausea, and dependency on laxatives in order to open bowels. One of the listed ingredients is dandelion, which will increase urination. This combined with the laxatives may lead to dehydration. Side effects of dehydration include thirst, dry mouth, fatigue, dizziness, heart palpitations, confusion, fainting, inability to sweat or urinate, weight loss, and fever. Foraging 14 Day Detox Tea contains unknown quantities of stimulant ingredients including orange peel and ginseng, so side effects may include increased heart rate and blood pressure, palpitations, insomnia, agitation, jitteriness, and skin rash. In addition, you should not use ginseng if there is any chance you may be pregnant or it could cause birth defects. How Much Does Foraging 14 Day Detox Tea Cost? Foraging 14 Day Detox Tea is expensive. It is important to remember that despite the fancy name, you are only buying 28 herbal teabags after all. If you buy Foraging 14 Day Detox Tea from Amazon, it costs $24.95 for 25 teabags. Buy from eBay and it costs a whopping $35.09. 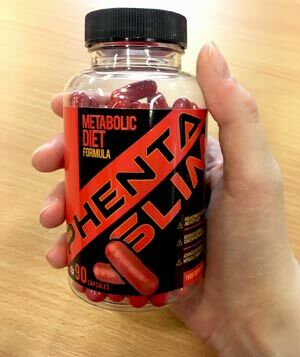 Nobody ever appears to have bought this supplement via eBay. We do not rate Foraging 14 Day Detox at all! We are never very impressed with detox teas because they can always come with a risk to health, but this is one of the worst we have ever seen! If you are considering a teatox tea, a brand that comes with full ingredients information and some sort of money-back guarantee would be a safer option. Foraging 14 Day Detox Tea contains a blend of unknown herbal ingredients. It is manufactured in China and it is likely to cause numerous unforeseen side effects. It will not work as described and will not help you lose weight, improve health, or boost your immune system. It is more likely to make you ill than boost your health and weight loss. You should never take any supplement or health product without knowing exactly what it contains, and with the Chinese supplements industry notorious for containing unsafe pharmaceutical ingredients, we would never gamble with our health in this way. We strongly urge you to avoid this teatox supplement. Overall, we do not recommend Foraging 14 Day Detox Tea to our readers. Ok, we are never overly impressed by detox products. Taking a teatox where you drink herbal brews laced with laxatives and diuretics is not good for health, and all medical opinion is that they should be avoided. That said, many people enjoy the idea of inner cleansing and although it is not necessary, the appeal of detoxing never fully goes away. 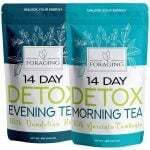 Foraging 14 Day Detox Tea is a detox program that you take over 14 days. There are two teas; one which you drink in the morning and one which you drink last thing at night. The Daytime detox tea is supposed to enhance energy levels, increase the metabolism, and stop unhealthy food cravings. The Night Time blend is supposed to help you relax, eliminate toxins, and strengthen the immune system. There is not a shred of evidence that this tea will work as described, although it will probably have the desired laxative effect. There is very little in the way of accurate ingredients information, so you don’t really know just what it contains or how it will affect your system. Take the Morning Tea in the morning on an empty stomach. Take the Evening Tea one hour before bed and at least one hour after eating. Foraging Organics is an Australian company based in Queensland. According to the packaging, the two teas are marked “Product of China” with Foraging Organics the importer. We don’t know whether Foraging Organics have designed the supplements (unlikely) or simply bought the tea in wholesale and repackaged it. Nobody has this information apart from the company themselves. We checked out the Foraging Organics business information online and found that the company markets a range of cooking products such as Vanilla powder for baking. It seems that Foraging 14 Day Detox Tea is the company’s only health product. Despite being based in Australia, Foraging 14 Day Detox is on sale via Amazon USA and eBay. Weirdly, the company does not appear to have an official website. What Does Foraging 14 Day Detox Tea Claim To Do? The product information is short on any real facts such as an ingredients label. Instead, it just hints at the contents of the tea without giving away much information. There are 11 essential herbs in the Morning Tea. “Essential herbs” is just a marketing expression – there are not really essential herbs but it does sound like essential oils which everyone has heard of. Fewer herbs are present in the Evening Tea. Does Foraging 14 Day Detox Tea Work? Who Knows! The product information is totally inadequate and although the herbal extracts are named on the packaging, you will have no idea what you are drinking. The supplements industry in China is not well regulated. We have seen countless Chinese supplements for weight loss that contain dangerous ingredients such as Sibutramine which is a stimulant with some bad side effects. This ingredient is supposed to increase the metabolism to help weight loss, as is claimed in the advertising for 14 Days Detox Tea but can lead to increased heart rate, blood pressure and even seizures. Check out our article on toxic substances in your supplements to find out more. All Chinese supplements should come with “blue hat” regulation which ensures adherence to basic safety standards, but more recently, Chinese manufacturers have been allowed to go through a notification process with the China Food and Drug Administration (CFDA). What Are The Ingredients of Foraging 14 Day Detox Tea? There are two different tea blends with each serving being equal to one tea bag. Senna leaf: A well-known laxative plant which contains chemicals called sennosides. These irritate the lining of the bowel causing the laxative effect. Although you can take Senna pods, Senna leaves are harsher on the system. You should not use unless you have constipation and then only for a maximum of 7 days. Lotus Leaf: Chinese medicinal ingredient used to treat diarrhoea. Cassia Seed: This could be an alternative name for Senna pods (there are numerous plants called cassia). Powerful laxative. Pu ehr leaf: Pu’erh tea is prized for its earthy flavour, but is time-consuming and costly to produce. Very popular in China. Fennel: Aromatic plant used in cooking. It has a licorice type flavour and may help relax the colon. Lemon grass: Culinary herb used in Asia and known for its mild lemony flavour. It is often used in tea and may have antifungal properties. Sencha Green Tea: All tea is derived from the same plant, Camellia Sinensis, with the differences coming down to production methods and the way the plants are grown. Sencha tea, like all green tea, may have health benefits. Ginseng: Panax Ginseng is one of the world’s most popular supplement ingredients. It is called an Adaptogen meaning it can help improve feelings of wellbeing and the body’s reaction to stress. Ginseng is believed to improve energy, mental functioning, reduce stress, and improve cases of sexual dysfunction in men. There is no real hard evidence to say why Ginseng should work this way but as millions of people take it there is anecdotal evidence although it can cause side effects too. Jiaogulan: Also known as Gynostemma, this plant extract is believed to strengthen immunity to disease and boost longevity. Research shows that it helps the body release nitric oxide and may help prevent the breakdown of DNA, but it lacks any real evidence. However, it does seem to reduce cholesterol levels. Dandelion Root: Powerful herb that is a familiar garden weed. It may have medical applications but is best known as a diuretic. Evening Tea with Dandelion Root: This contains 7 so-called essential herbs. Dandelion Root: Powerful herb that is a familiar garden weed. It may have medical applications but is best known as a diuretic. Its folk name in the UK is Wet the Bed, so this seems like a strange choice to take before bedtime! Chamomile: Most people take chamomile for its soothing and sleep-inducing effects, and it does seem to work. It contains a compound called Apigenin which is known to reduce anxiety. Lavender: We all love lavender! Lavender contains oil that seems to help relaxation and soothe tired muscles. It can help calm anxiety too but can cause side effects such as constipation if ingested. Lemongrass: Culinary herb used in Asia and known for its mild lemony flavour. It is often used in tea and may have antifungal properties. Peppermint: Popular type of mint which can be very effective for stomach issues such as gas and heartburn. Orange Peel: This could be peel from the Bitter Orange variety (Citrus Aurantium). This type of orange contains a stimulant chemical called synephrine, which can cause the body to react in the same way as it does when under stress with effects including increased heart rate, sweating, and loss of appetite. Does Foraging 14 Day Detox Tea Have Any Side Effects? Foraging 14 Day Detox Tea may cause side effects and without adequate ingredients information, this is hard to predict. In addition, there is a lack of genuine customer feedback so we cannot provide real customer experiences. Ginseng can also cause the same effects and in addition, you should not use if there is any chance you may be pregnant or it could cause birth defects. 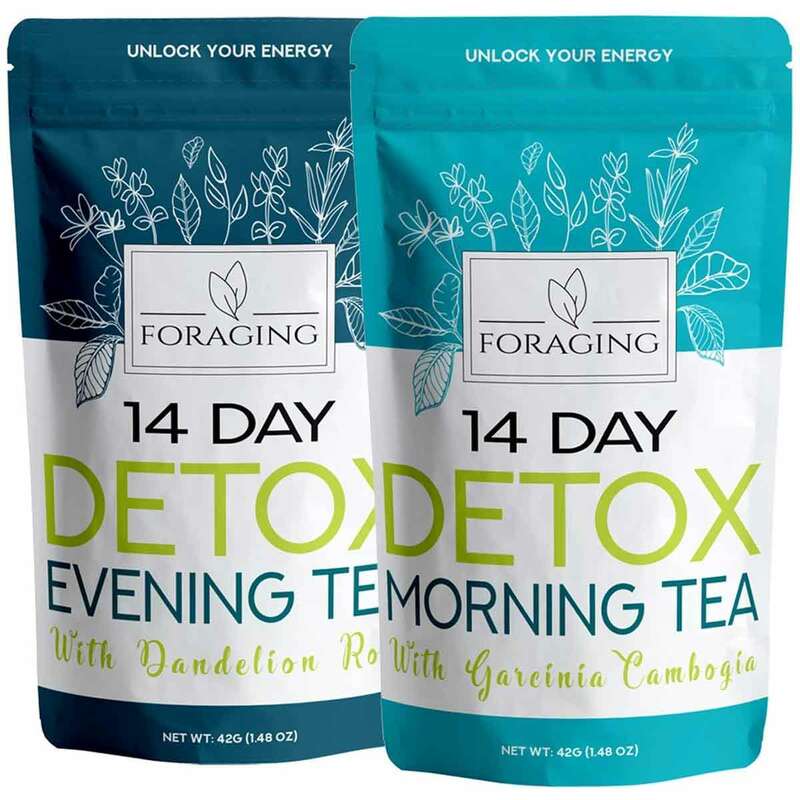 Are There Any Customer Reviews For Foraging 14 Day Detox Tea? There are a few customer reviews recently left on Amazon but according to scam software, most of these are extremely low quality and unreliable. All are five-star reviews and include the following comments. I love this Tea! Definitely cleans you out (which is why you drink detox tea) even though it’s a tad uncomfortable feeling you will feel relieved and you can feel the toxins being pulled out of your body. Very gentle but does what it’s supposed to. I will continue to use it. Does Foraging 14 Day Detox Tea Offer a Money-Back Guarantee? Where Can I Buy Foraging 14 Day Detox Tea? Foraging Organic does not have an official website. However, you can buy Foraging 14 Day Detox Tea via Amazon USA and also from eBay USA. 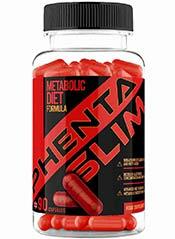 How does Foraging 14 Day Detox Tea compare to Phentaslim? Foraging 14 Day Detox Tea is a detox program that you take over 14 days; one which you drink in the morning and one which you drink last thing at night. Both teas are manufactured in China and imported by Australian company Foraging Organics, meaning that it comes with some real health risks. Without adequate ingredients information, side effects and safety could be an issue. In addition, no money-back guarantee is available.